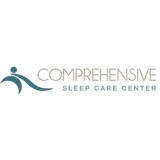 Comprehensive Sleep Care Center (Manassas) - Book Appointment Online! Comprehensive Sleep Care Center is one of only a few facilities Accredited by American Academy of Sleep Medicine. Comprehensive Sleep Care Center provides complete diagnostic and treatment facilities for all sleep related disorders for adults and children including, but not limited to: Obstructive sleep apnea (OSA) Narcolepsy Hypersomnolence Restless legs Periodic limb movement disorder Sleepwalking REM behavior disorder (abnormal movement in sleep) Insomnia Patients receive comprehensive care; from the evaluation, to diagnosis, to treatment (including CPAP/BiPAP), for their respective sleep disorders and conditions. Because Comprehensive Sleep Care Center has both Sleep Medicine and Dental Physicians, we are at unique position to offer full medical insurance coverage for the treatment of OSA with Oral Appliance therapy.